Oklahoma! was the first musical by Rodgers and Hammerstein which originally opened in 1943. Set in 1906, this is a story about cowboys and their romances with the women in their lives. MTP London is very excited to bring this much-loved Broadway musical to the Palace Theatre for our 25th Anniversary Season! Oklahoma! was the first hit musical for the legendary team of Rodgers and Hammerstein. 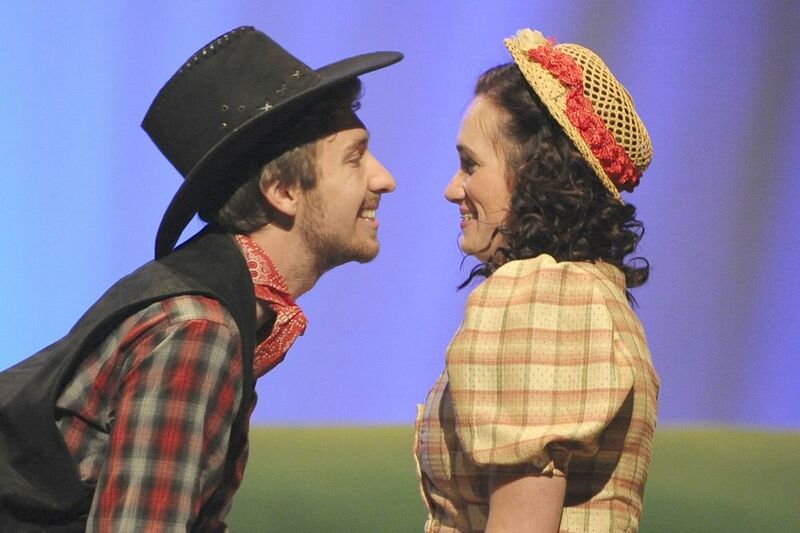 Set near the town of Claremore just before Oklahoma achieves statehood in 1906, this musical is a delightful story of two young cowboys vying for the hearts of the women they love - with lots of laughter, song and high-energy dance along the way. “Oklahoma! is one of the greatest musicals of all time, but we’re not doing it as a museum piece. Even though it is well-known, the story and music is always fresh and evocative. We have an enthusiastic and energetic cast who are finding the comedy in it. It’s everything that people would want from the show, with a youthful and modern energy. We are thrilled to have the largest cast musical on the Palace stage in years. We also have cast members who have been with MTP since its founding, such as local theatre legend Art Fidler, and youngsters who are making their stage debuts." - Ceris Thomas, Director of Oklahoma! Oklahoma! - a well deserved standing O! This Oklahoma! well deserved the standing ovation it got from its opening night audience. From the artistically designed sets, to the appropriate mood lighting, to the seamless set changes, everything translated into an evening of pure theatrical magic and perfection. I have had the privilege of seeing Oklahoma! six times and I can safely say that the quality of vocals in MTP’s production rivals any professional production I’ve seen. 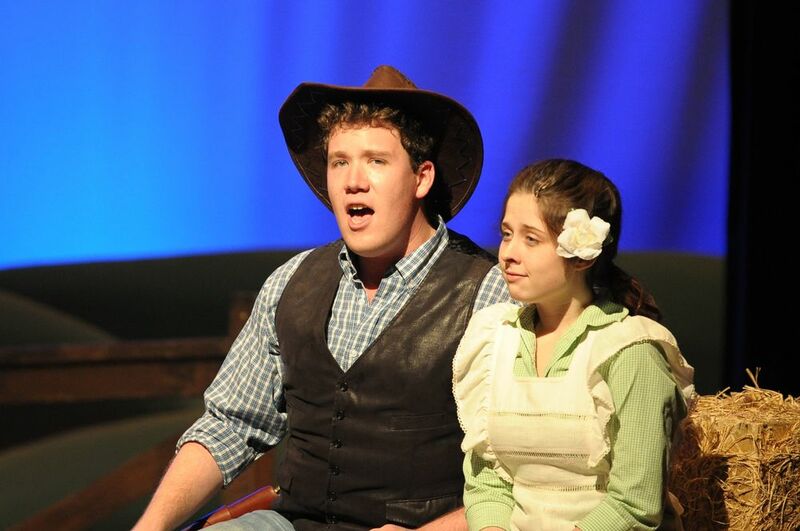 In all the productions of Oklahoma! I have seen, no other community theatre group rivals MTP’s quality. Giddy up, Oklahoma's com in' to town! It’s not every day you see 45 people crammed on the stage at the Palace Theatre on Dundas Street. Oklahoma! director and choreographer Ceris Thomas has been working on the production since spring. The show opened November 14 and runs for 10 days. Thomas chose Oklahoma! for its timelessness and the significance of Musical Theatre Productions’ (MTP) 25th anniversary year. 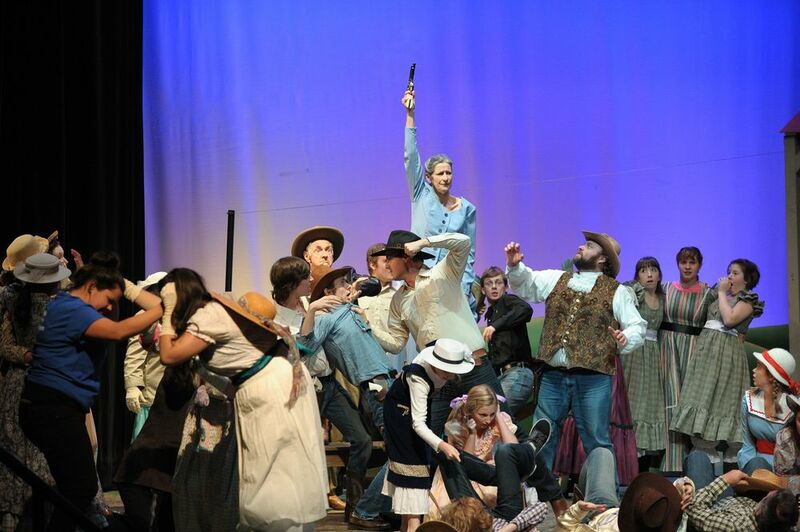 MTP presents Oklahoma! A show you cain't say no to! 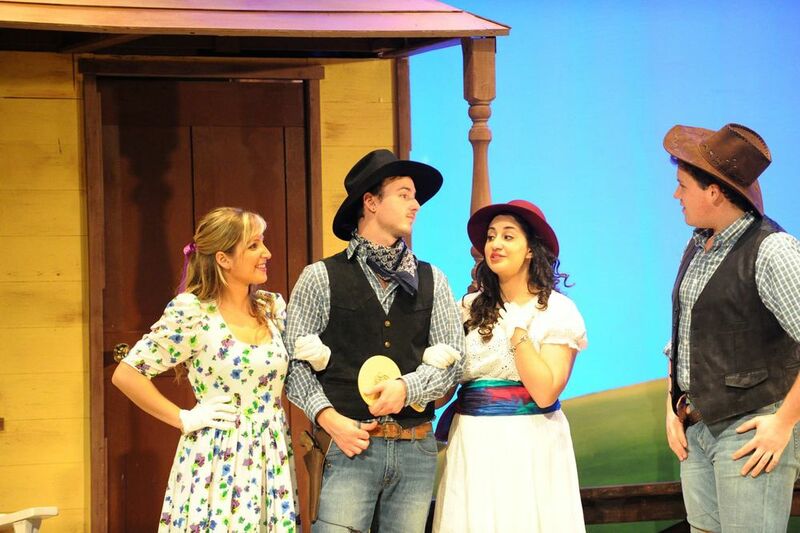 Musical Theatre Productions (MTP) is celebrating a quarter-century of bringing top-flight musicals to London with the Rodgers and Hammerstein classic, Oklahoma! Now, 25 years later, I’m singing in the chorus of Oklahoma! Something I helped to create in our community is still there for me to be part of in older years. I’m happy and proud too, of all of us who started MTP and have struggled to keep it alive over 25 years of ups and downs. 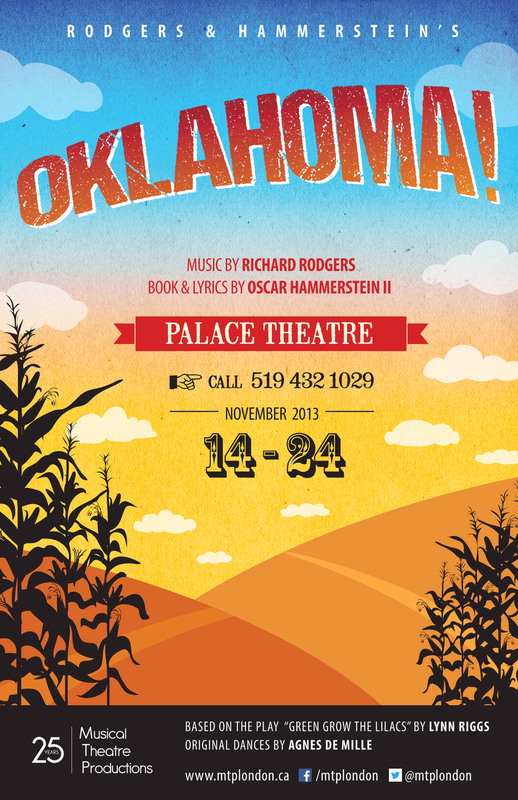 The largest cast to hit the Palace Theatre in a long time was put together by Musical Theatre Productions for Oklahoma!, which opens in preview Thursday and continues until Nov. 24. What would eventually become Musical Theatre Productions (MTP) was created to nurture the talent of local performers and give them multiple venues and opportunities to showcase their talents. Podcast #14 with Special Guests Joe Recchia and Andrew Rethazi from Oklahoma! We talk about the massive creative endeavour that is Oklahoma! presented by Musical Theatre Productions and coming soon to the Palace Theatre. Ceris is directing so the tables are turned as we talk about the motivations behind the show and the challenges it presents. Tune in for an in depth discussion of set design in theatre and the challenges presented to a musical director on such a classic show.